Handmade paper dyed with pigments, the base is woven with cane and raffia. 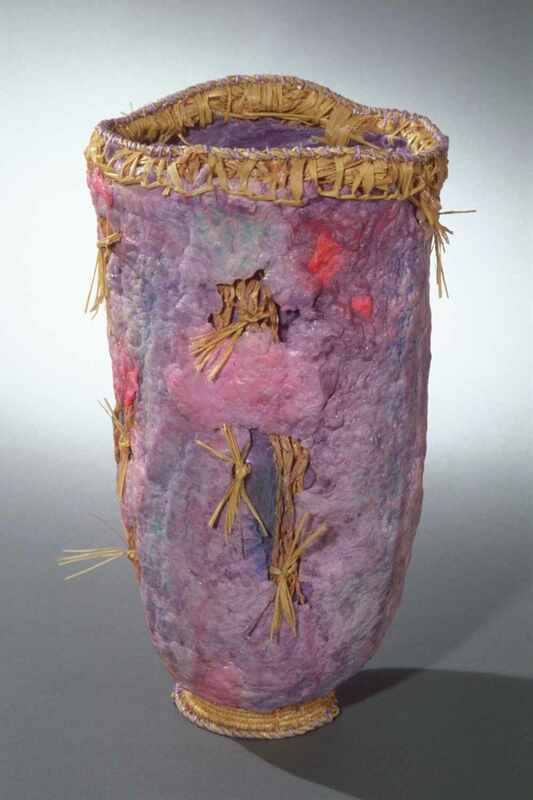 The raffia is braided and brought up to the top of the vessel between two layers of paper. It is then braided and woven across the top.